Did Someone say Grilled Cheese?!?! On top of that, BUFFALO Grilled Cheese?! 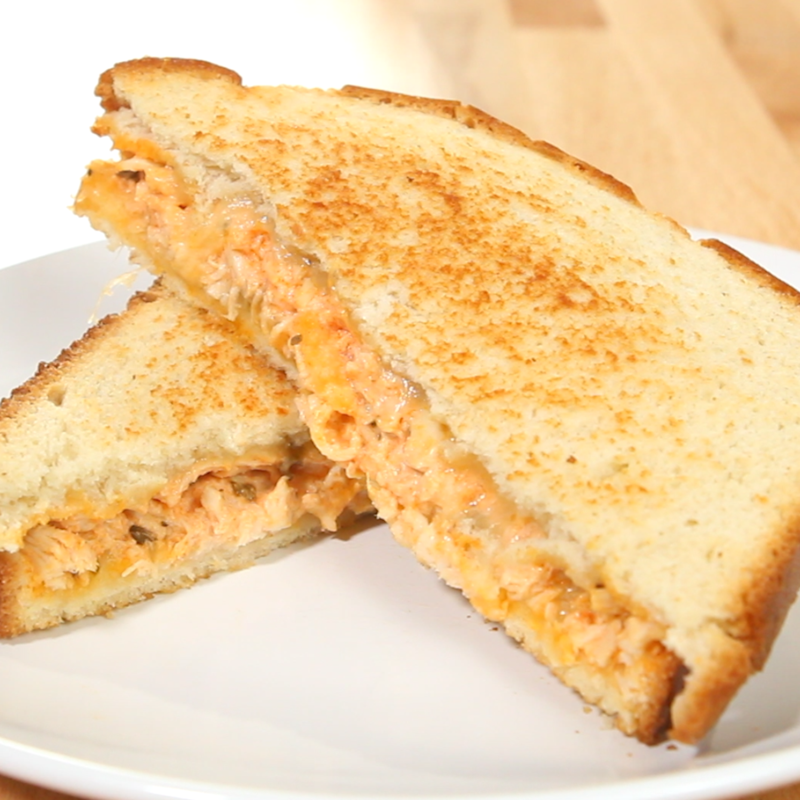 Oh, man guys…I grew up on grilled cheese and let me tell you..If you love a little spice, this is where it’s at. It’s not too spicy…it’s just the perfect combo of buffalo and cream! Even if you need a little comfort food to get through the day, then sink your teeth into this. Buffalo wings have got nothing on this! Place sandwich in a greased pan. Flip when each side reaches your desired doneness.